Location, location! 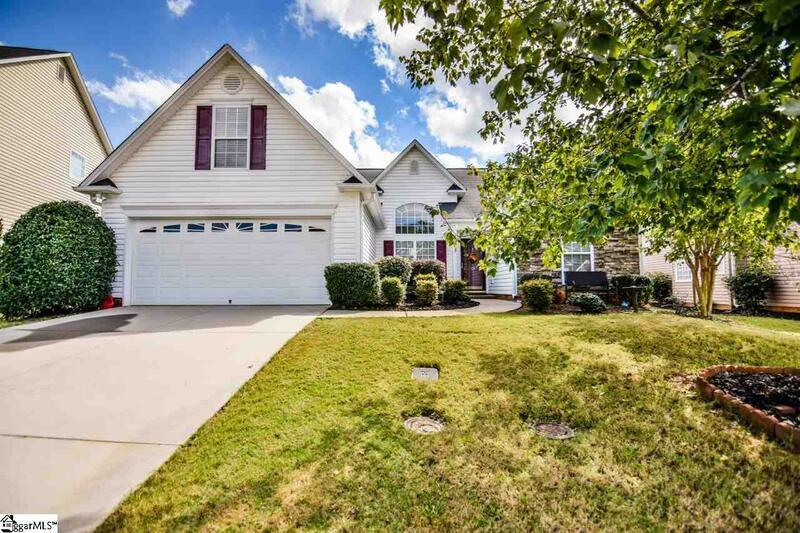 Located in popular Twin Creeks subdivision. Ranch home with three bedrooms and two full baths, all located on the first floor. When you enter this home you will find a large formal dining room or office area, great room complete with a corner fireplace. The floor plan is open from the kitchen to the great room. The kitchen features an abundance of counter space, nice size pantry and a breakfast bar. The breakfast area overlooks the fenced back yard. This home features a split bedroom plan with two bedrooms and bath on one side of the home and the master bedroom and bath on the other side. Master bedroom is large and has a trey ceiling. Master bathroom, has his and her vanities, garden tub, separate shower and a walk in closet. Listing provided courtesy of Sandra Palmer of Bhhs C Dan Joyner - Simp.